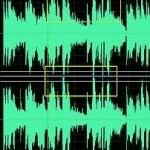 Tags: Audio mixing EQ tips, Piano keyboard music production techniques. Piano is one of the most common instruments you can find in pop and in producing country music. It is also commonly found in ballads and adult contemporary music. In this short guide, you will know how to properly mix a piano and apply panning/EQ/reverb techniques. The main objective is to let the piano tracks shine without causing any trouble with the rest of the instruments such as guitar and vocals. 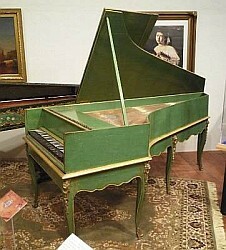 Piano is a wide range sounding instrument that spans from very low bass to very high frequencies. In most piano pieces used in country and pop music, it can be found somewhere in the middle frequencies. If the piano is being used as an accompaniment, it can harder to mix that piano with vocals together and these two occupy the same frequency spectrum. If you are planning to produce a song with piano, it would be much better to use chords than an arpeggio accompaniment. Chords are easier to deal with in the mix because the sound is played together. This is quite a common technique “Let it be” by Beatles. You can cut up to -9dB if you find out that the piano piece is making the vocals unclear in the mix. These EQ settings are not permanent for all piano mixing scenarios. They only serve as a starting guide in the EQ settings. It would be highly advisable to use a parametric EQ to find the “sweet spot” of any musical instruments. The overall objective of this setting is to prevent the low piano bass frequencies from masking bass guitar and kick drum frequencies. So if you have a bass guitar and kick drums in your mix, this is an important setting. This 200Hz can be adjusted between 100Hz and 250Hz depending on the piano track. Cutting much higher than 200Hz removes a lot of bass in the piano; which can be detrimental to the track especially if the piano has a lot of bass. Otherwise if the mix consists of only a piano and vocals (from start to finish), then this is not necessary because you need the bass from the piano to support the song. c.) Boost +2dB 6000Hz Q=1.0 – this EQ setting will add more gloss/shine to the piano tracks particularly in the intro and piano solo sections. 1.) The size of the live room where the piano has been recorded. Larger rooms add more reverb. Smaller rooms have warmer sound. 2.) Microphone placement on the piano. Even specific microphone models can have a big impact on the sound of the recording. 3.) Acoustic room treatment of the room where the piano has been recorded. For example, if you place the piano at the corner of the room, it will tend to have more “bass” sound than if the piano would be recorded in the center of the room. Absorption vs. Diffusion in Home Studio Acoustic Room Treatment.